Welcome to ETC Fire which offers you the latest deals and service for on Fire Extinguishers for customers in the Burgess Hill area. ETC the Extinguisher Trading Company supplies and services fire extinguishers and provides training in their use, operation and regular checks, from our fire extinguisher experts who can come out to your business premises in the Burgess Hill area. We aim to give a complete service at the best possible price for fire extinguishers and services and our business and domestic services are the most competitive in the area. Do contact us if you have fire extinguishers that need replacing/inspecting or need a survey of your existing fire extinguishers for safety certification. 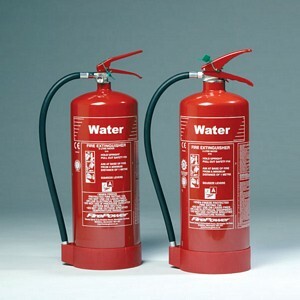 We also carry a stock of spare parts for fire extinguishers and accessories. If you need anything urgently, we can supply and fit them for you in the Burgess Hill area. Your safety and that of your employees or those who use your building depends on the provision of proper fire fighting equipment, and servicing it regularly and training in its use and operation. Call our service engineers for a professional inspection of your fire fighting equipment - in the Burgess Hill area we are able to visit at a time that suits you. We also offer professional fire training. Please call us for details. ETC Fire Extinguishers Burgess Hill - Keeping up the fight against fires.